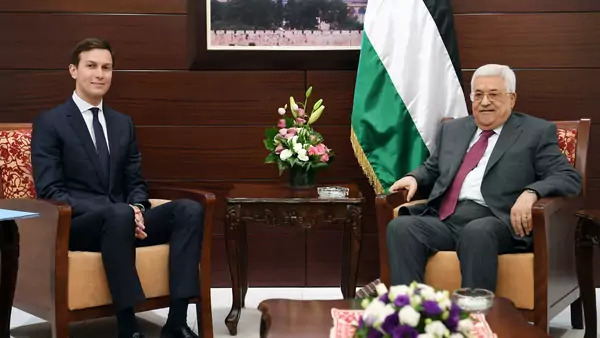 Palestinian President Mahmoud Abbas meets with White House senior advisor Jared Kushner in the West Bank City of Ramallah (Thaer Ghanaim/Handout/Reuters). The next several years will likely hold continued violence and instability for the Middle East, where the "Arab Spring" largely failed to produce lasting improvements; these issues are beyond Washington's capacity to resolve. This article was originally published here on CNN's website on Thursday, June 22, 2017. Jared Kushner's visit to Israel this week reflects an unexpected development in current Middle East politics. It is not that Kushner's chances for success are greater than those of a long list of special envoys, but rather that of all the problems in the region, it is the almost seven decades-long Arab-Israeli conflict that seems most amenable to US diplomacy. This is because following what is universally referred to as the "Arab Spring," major countries of the region have been plunged into instability, uncertainty, and violence that is well beyond Washington's capacity to resolve. For many people across the region, the unfortunate fact is that life is worse than it was before they began pouring into the streets six years ago to demand freedom. Although support for Tunisia's Zine el Abidine Ben Ali, Egypt's Hosni Mubarak, and former Libyan strongman Moammar Gadhafi remains, people are for the most part pleased to be rid of them. Corruption, brutality, and violence marked the decades they were in power. But being happy that these dictators fell does not mean that people are better off. That is certainly not the case in Libya and two other failing or failed states in the Middle East, Yemen and Syria, where there were also uprisings in 2011. In Libya, not long after the uprising against his father began, Saif al-Islam Gadhafi warned that it would lead to "forty years" of violence.